One of the first users of the Konecranes Agilon material management system has been Agronic Oy. Now the company manages its external warehouse with the new Konecranes Agilon Mobile. Founded in 1993, Agronic manufactures bales, crushers, reed pulleys, slurry tankers and other agricultural machinery in Haapavesi, Northern Ostrobothnia, Finland. The company has two sites located on the Teollisuustie and Kalliotie roads. About half of the products are exported to other countries. The company is the market leader of slurry tankers in Finland. A few years ago, Agronic wanted to simplify its material management, speed up inventory rotation times and improve the delivery reliability of the goods needed in production and maintenance. “We did not have a separate inventory management system for all the small components needed in production. Instead, these were managed with Excel spreadsheets. We wanted a solution for this,” explains Production Manager Mauri Autio. The second reason for choosing Agilon was related to the use of space. There were a lot of separate shelves for small utensils needed in production, and these items were stored here and there in both production facilities. Thirdly, Agronic aimed to improve the issue of saving time. Performing continuous inventory of stock a few times a week and making orders to suppliers took up a lot of time under existing processes with human errors occurring when calculating remaining amounts. This meant that something might be left unordered, thus resulting in the situation that an item would simply run out. “We saw that Agilon could be the solution for us,” Autio affirms. In the autumn of 2014, Konecranes Agilon material management systems were installed at both of Agronic’s production facilities. They are currently used by more than 40 employees for production and spare part storage, as well as by some persons in office and managerial positions. The system contains the small components, protective equipment, welding, fastening and hydraulic utensils, chemicals, consumables and spare parts needed in production and maintenance. Konecranes and Agronic have constantly developed the system to meet customer needs. Ahlsell, a supplier who provides Agronic with technical utensils, protective equipment and industrial components for assembly, among other items, is actively involved, too. Agilon has been integrated into Ahlsell's enterprise resource planning system. Agilon automatically sends a notification to reorder when a given product's balance falls below the cut-off limit. At Agronic, orders no longer need to be written manually. Instead, they are sent from Agilon directly to the supplier's system. Operations are now easier at both ends of the supply chain. “At our end, the goods to be delivered require only packaging and delivery to the customer. The dispatch note also comes automatically. Both item management and our service ability have improved considerably,” notes Ahlsell's Regional Manager Juha Laukka. The 12-metre long x 6.1-metre high Agilon system at Teollisuustie has already been expanded and stores 500 to 600 boxes. One of its access points is located in the upstairs spare parts stockroom and the other one is in the lower level assembly premises. 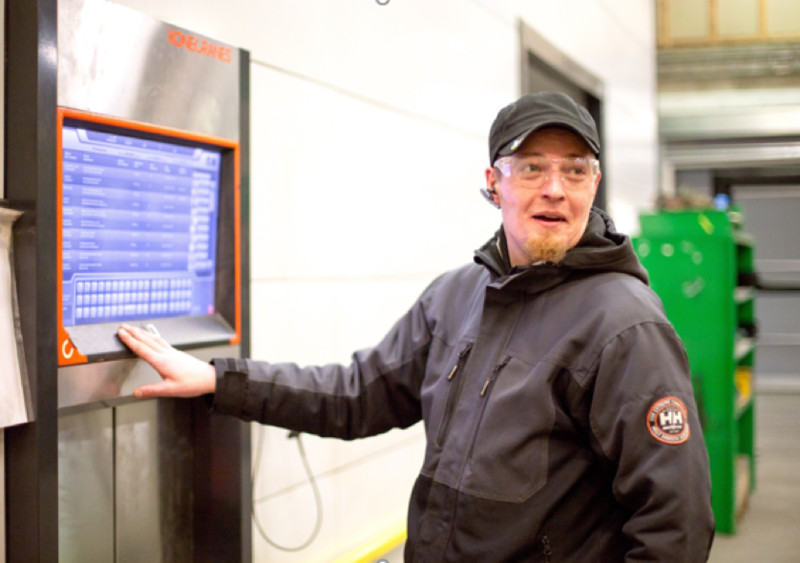 The system is most frequently used by Kimmo Erkkilä, one of the warehouse employees. He enters the incoming goods, checks the accuracy of the automated order balances and keeps track of orders and balances on a daily basis. “Agilon has improved our daily management of spare parts and components. This ensures that we can be sure to find those components rarely needed. Now it’s no longer necessary to ask a colleague where a particular part might be,” he adds. According to Erkkilä, the user interface is so simple that every smartphone user can use it. Agronic’s other site at Kalliotie uses a 10-metre long x 5.6-metre high Agilon system with one access point. This system currently containing about 800 packages has proven its worth in daily production. “There's no going back,” affirms Production Foreman Esko Honkala succinctly. Honkala is responsible for the introduction of the Konecranes Agilon Mobile application at Kalliotie. 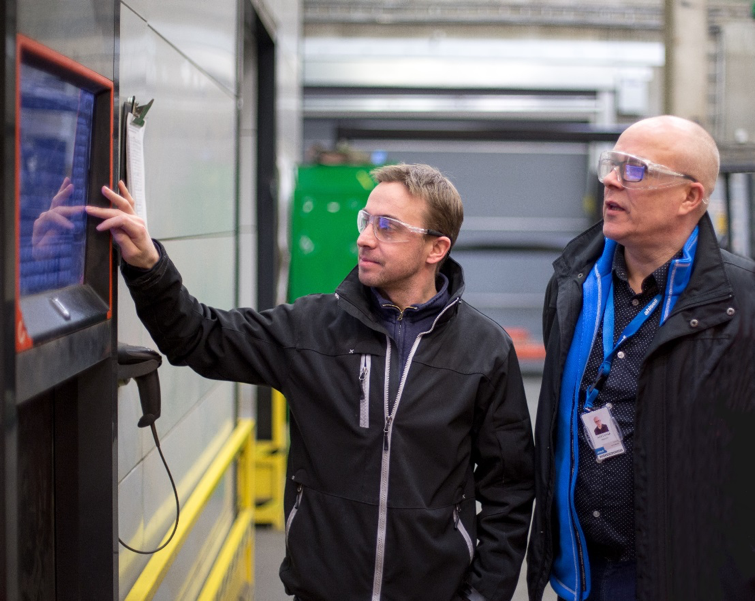 This is Konecranes’ additional service to complement the Agilon system and through which external storage outside Agilon can be managed with a cell phone or tablet. “We expect that the mobile application will greatly facilitate the management of external inventory. When weekly or monthly inventory is no longer needed, time will be saved. In addition, the items are definitely available and there are no surprise shortages,” Honkala adds. Only a few weeks’ experience has already demonstrated how well the solution works. “The application appears to work well and has added reliability to our supply flow. It is no longer necessary to count the items or worry about the items that need to be ordered. It’s as easy to use the application as it is to use the Agilon system,” he says. Agronic's two-year experience both with the Agilon system and Konecranes' service concept has been positive. The set goals have been achieved with great success. “We would not have these systems unless they benefitted our business operations. We have simplified the order and supply chain of small components and removed manual work phases. We are now able to track orders, inventory balances, inventory values and optimise stocks as well as their turnaround times. Orders are automatically placed before the items run out of stock and cause any interruptions in production,” Autio sums up. Agronic can now save time when stocking inventory is no longer an issue. Also, the space freed up from excess storage can be used better for actual production. Workers know exactly where the components are – and they’re always in the same place. It is no longer necessary to try to remember on which shelf a particular part is located. They are happy that items are always available, too. All in all, according to Autio, Agilon has simplified and streamlined their material management, order tracking and supply reliability, bringing clarity to storage operations. “In addition, the service concept is simple and easy for the customer. The monthly rental fee includes maintenance and upgrades, so we do not have to worry about them. Co-operation with Konecranes has been very positive. Our wishes for development have been well understood and we have been able to build a rational and useful system. This has been a big project with many partners involved, and I am happy with the way things have been carried out,” he continues. 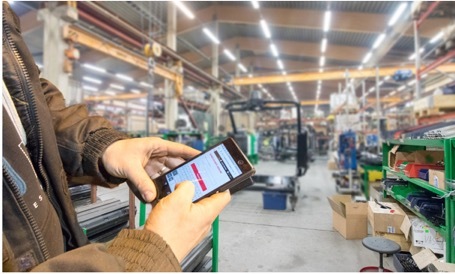 The Konecranes Agilon Mobile application is an additional service to complement the Agilon system, making it possible to manage external storage with a cell phone or tablet. “We would not have these systems unless they benefitted our business operations. We have simplified the order and supply chain of small components and removed manual work phases,” notes Agronic's Production Manager Mauri Autio (left). Pictured also Ahlsell's Regional Manager Juha Laukka. Esko Honkala (left), Foreman of Agronic's Kalliotie site, shows Konecranes' Jarkko Hemmi and Agronic's Mauri Autio how the external inventory information is displayed using the mobile application linked to the Agilon system. “Agilon has improved the daily management of spare parts and components. It ensures that those components rarely needed will be found, explains Agronic's Kimmo Erkkilä,” a warehouse employee who most frequently uses the system at Teollisuustie.